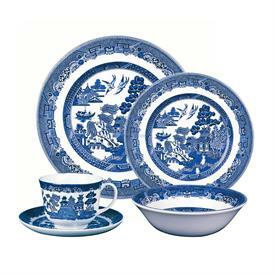 Willowblue China Dinnerware by Johnson Brothers. for sale affordable pricing ! 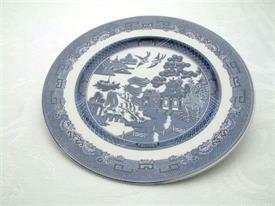 Willow Blue recounts an age-old Oriental love story, captured in blue and white. 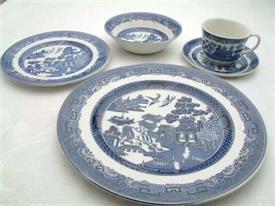 The Blue Willow pattern was introduced over two hundred years ago, first manufactured by Josiah Spode. The pattern features a willow tree, two birds, a fence in the foreground, a tea house, a boat, a bridge with three figures, a border of Oriental symbols. 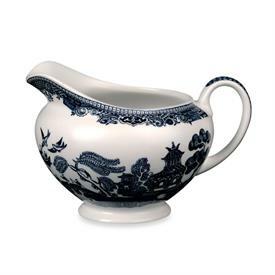 The pattern was cluttered and the elements oddly proportioned yet everyone loved it, and within a few years, more than two hundred English potteries were making variations of Blue Willow. The Blue Willow Scene captures a Chinese maiden and her young suitor eloping, and are pursued across a bridge by her irate father. The lovers die tragically but their spirits flutter together forever in the form of two immortal doves.